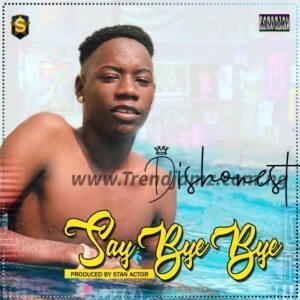 2019 started with a nitro for this star in the making he has jumped on one of last year hit by Ycee : Say Bye Bye! This is a flavor that will keep Yuh stew saucy by artist name DISHONEST song titled SAY BYE BYE Mixed by STAN ACTOR! SHARE THIS ONE LETS PUSH ONE OF OUR OWN!